Galeries Lafayette, historic department store (Cupole) located amidst the heart of Paris along the Haussmann Boulevard, is undergoing a major rehabilitation project for improving its pedestrian comfort conditions and reprogramming building functions according to a commercial general plan. Systematica is appointed to carry a comprehensive pedestrian flow analysis, within the general framework of the ongoing rehabilitation and regeneration planning and design process. The study entails a detailed analysis of pedestrian traffic conditions and traffic modelling of the current pedestrian movements and behaviours inside the department store, with a consequent focus on measuring and mitigating the impact of the planned changes. 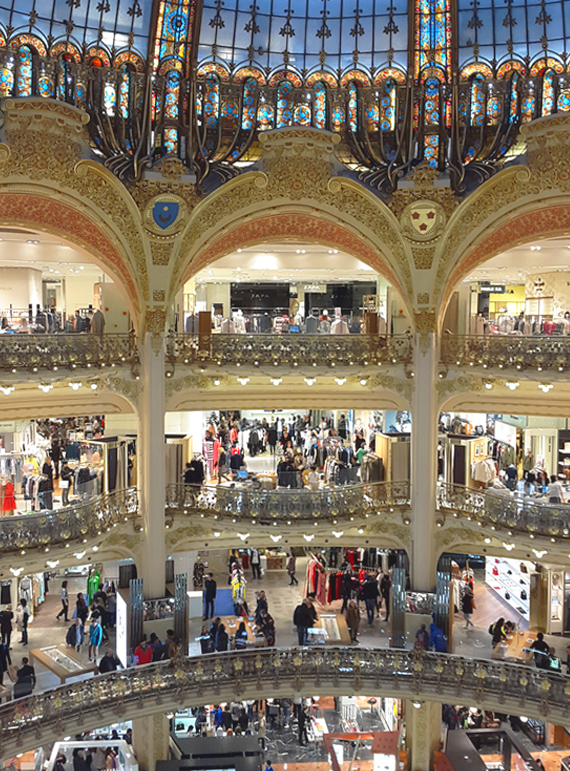 Systematica and Galeries Lafayette worked jointly at the requalification of the historic department store in Paris, to grant high-quality experience, comfort and safety to all visitors.